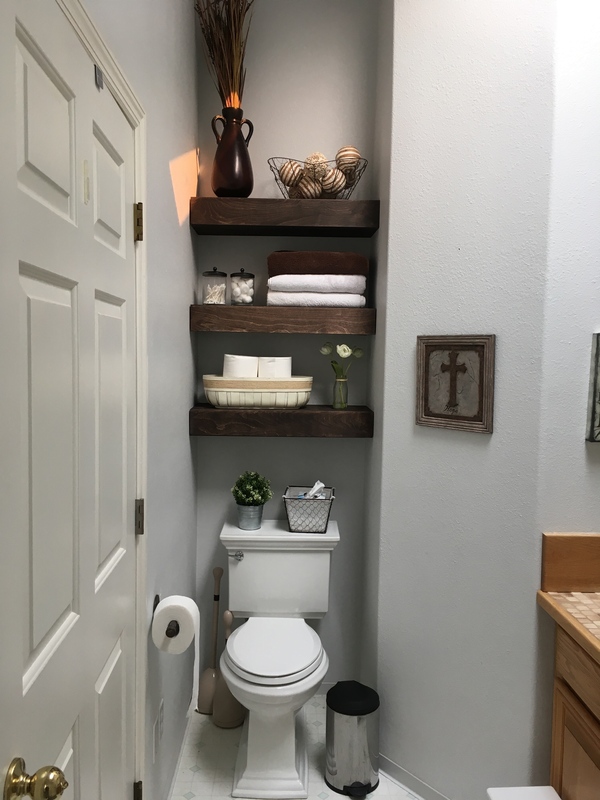 What are these brown things floating in my bathroom? 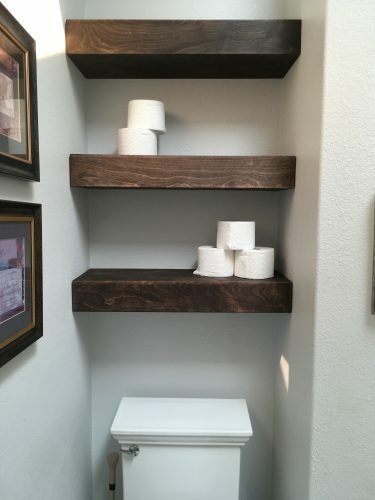 They’re floating shelves, of course! What else could I have been implying? 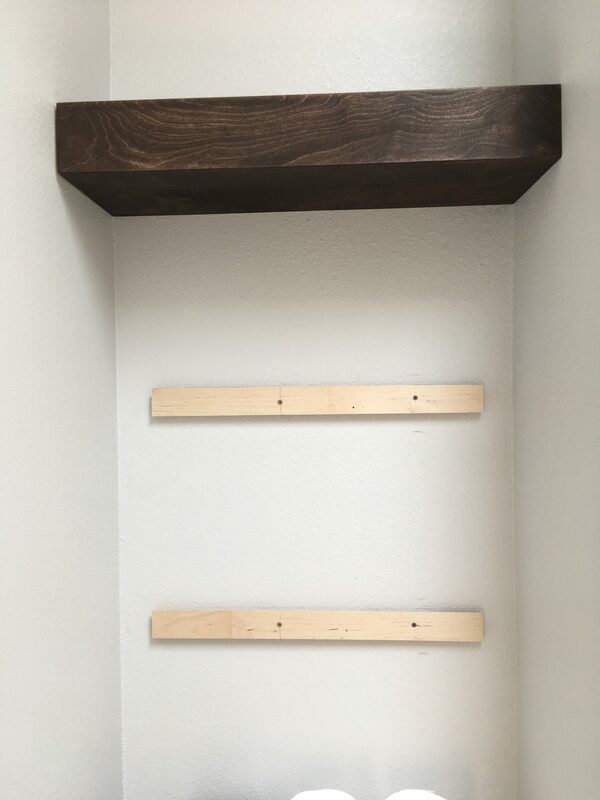 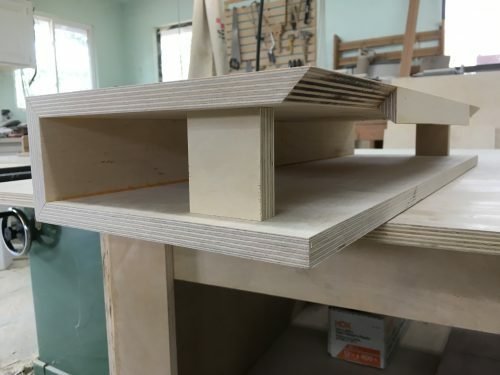 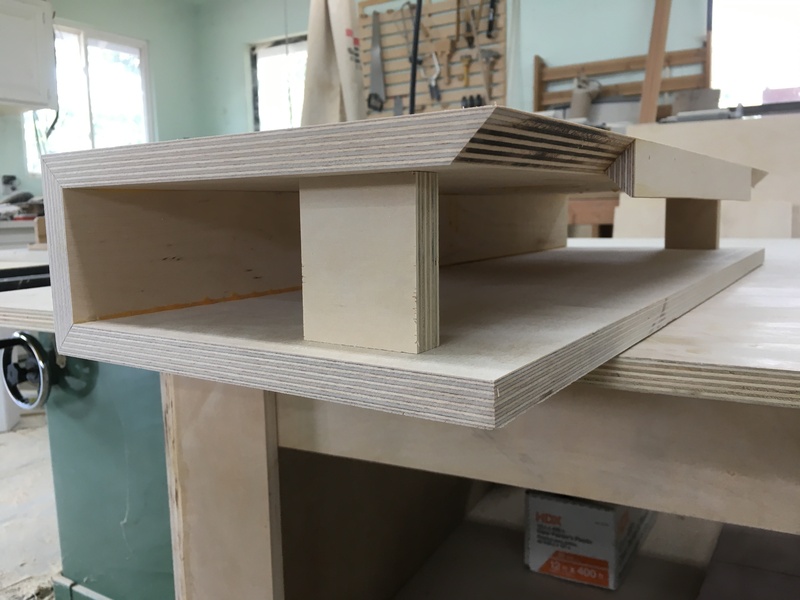 I made these shelves out of 3/4″ plywood and hung them on French cleats.